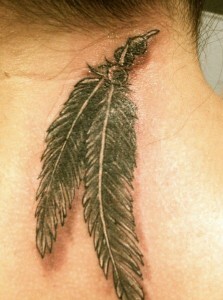 I hate this tattoo. A lot. I’m actually even embarrassed to post this picture. It was part of the “2008 I’m an idiot” phase. 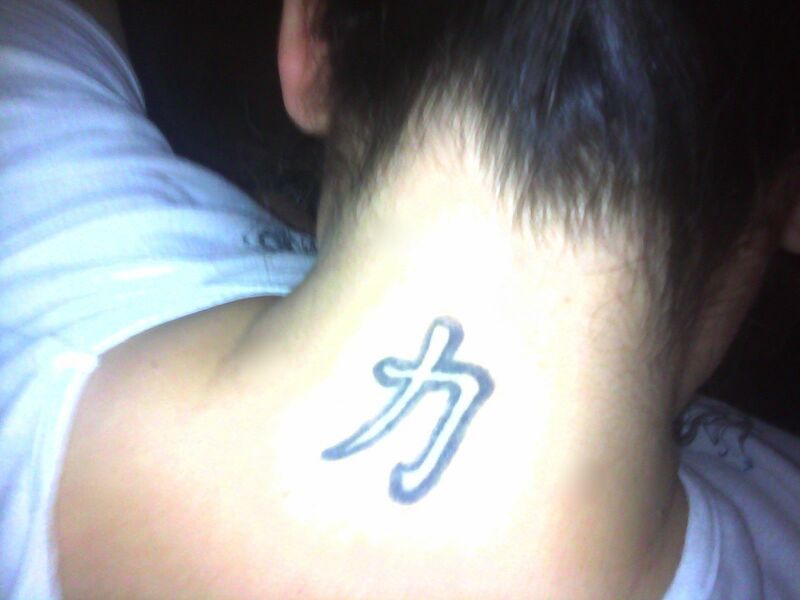 Kanji tattoos are so 1995. I’m not sure what I was thinking exactly. It means strength (and yes, I’m absolutely sure that’s what it means–I have plenty of Japanese friends to confirm), so at least the meaning isn’t stupid. 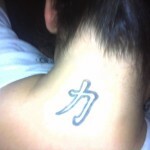 Although, if I had a Kanji tattoo that meant soup, it might actually be kinda funny. But as it stands, this one embarrasses me. Thankfully, my hair is long enough to cover it, but I really worry about putting my hair up and it depends on where I’m going whether I do or not. I don’t know why it bothers me so much. I have several other tattoos that are very large and in visible places, but this one seems so, idk, trashy? I don’t mind the placement, it’s the actual tattoo itself. I want to get a cover-up, but I’m not sure what to get, yet. Ideas?